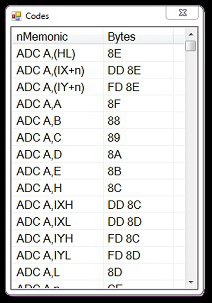 From here you can write your own Z80 assembly load, save, compile, and run it. Assembly can be written in note pad or text editor before being loaded into the Assembler, semicolons are used to comment out lines. There are many great books, tutorials and reference guides on the Internet for writing Z80 code on the ZX Spectrum far more in depth than what we would have time to write here. Additionally a list of Z80 OPs should help jog your memory! 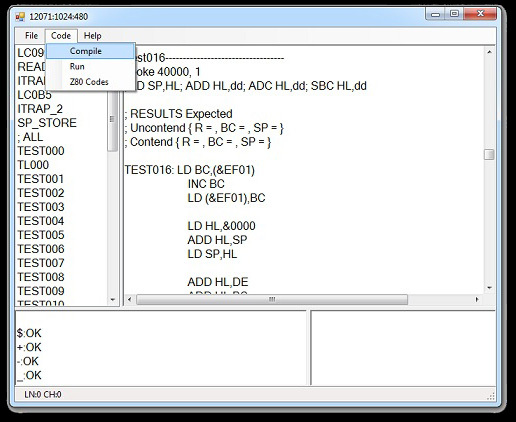 Note: These tools were written to aid in the development of the emulator so can still contain bugs, However they have been provided for advanced users wanting to write machine code.